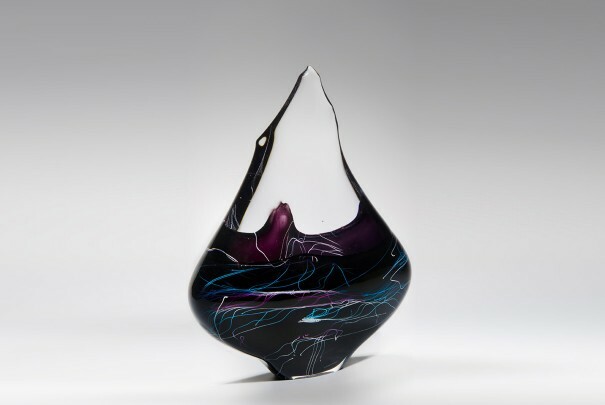 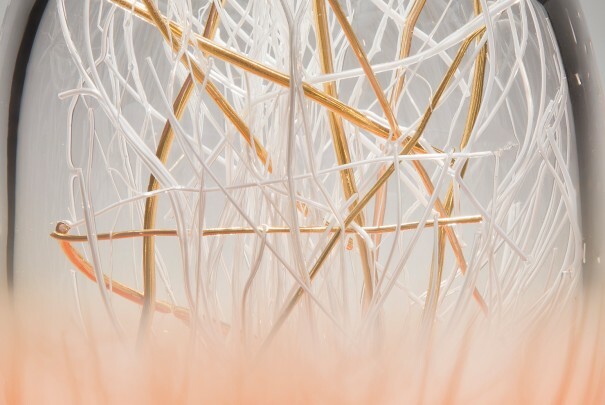 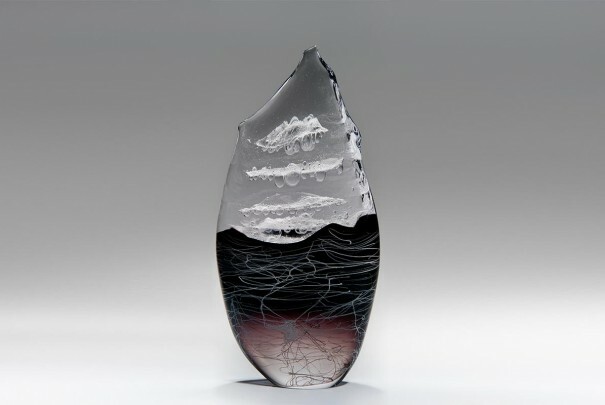 "...imagining a coastal landscape in glass..."
James uses glass as a canvas to create abstract sceneries, which draw the viewer to gaze within for the beauty of the canework. 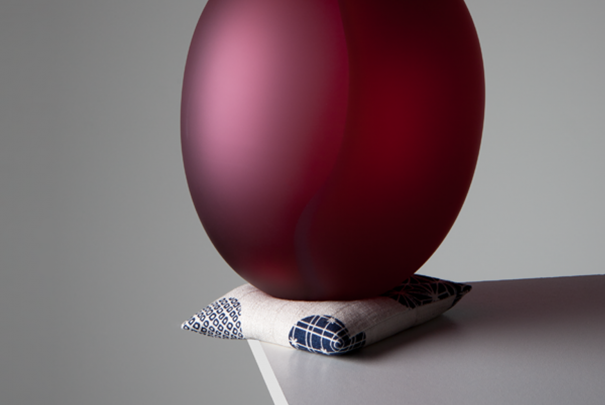 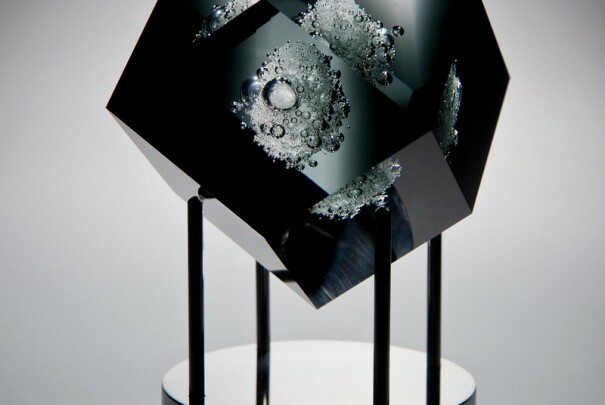 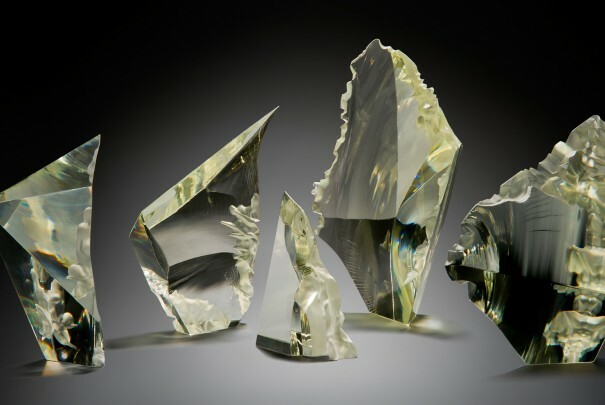 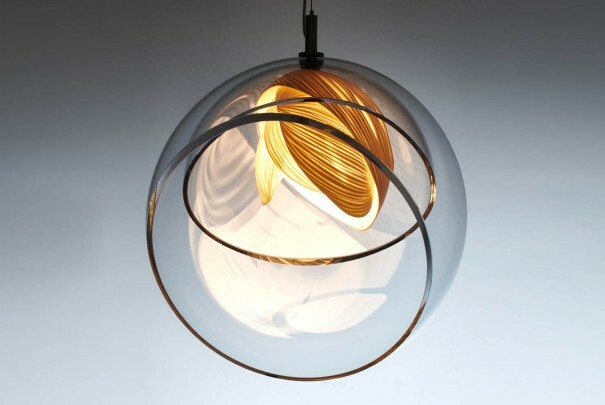 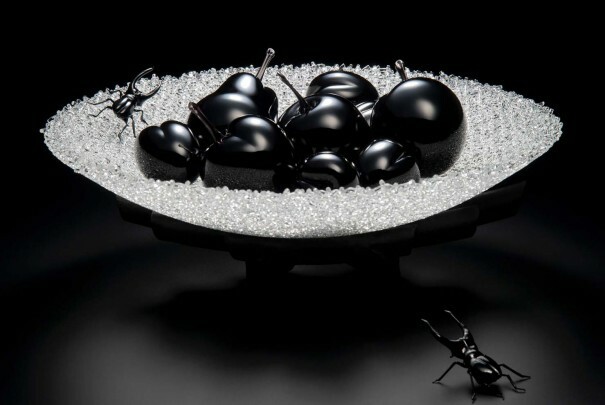 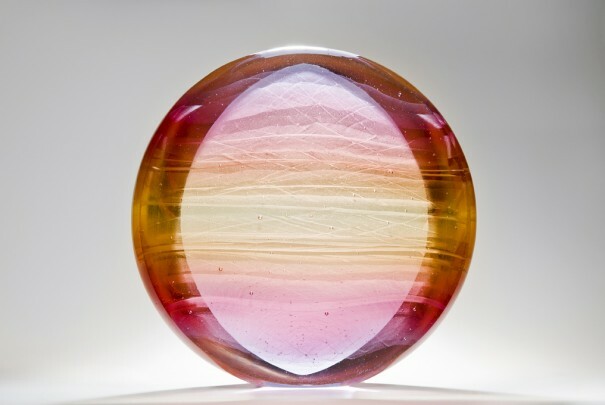 The transparent top of his Metamorphic pieces reflect the inner patterning, creating a whole reflected world. 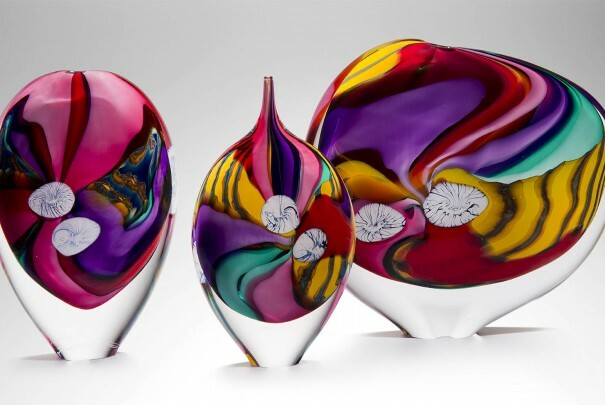 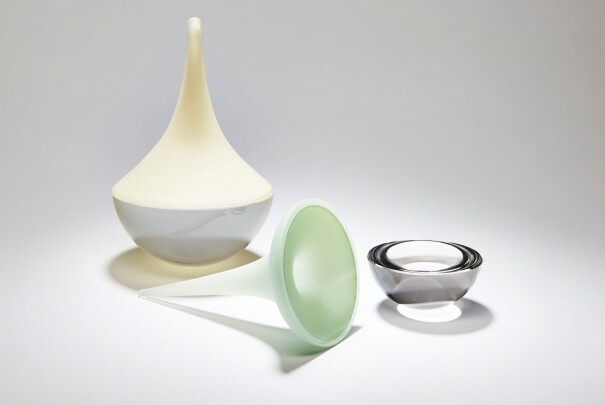 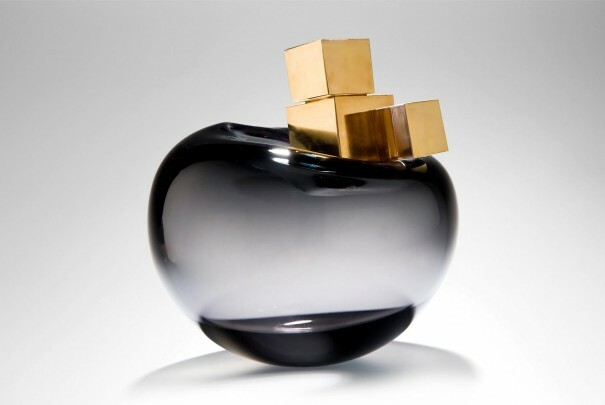 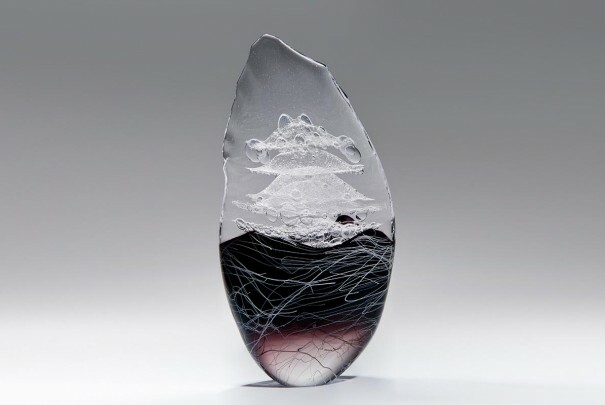 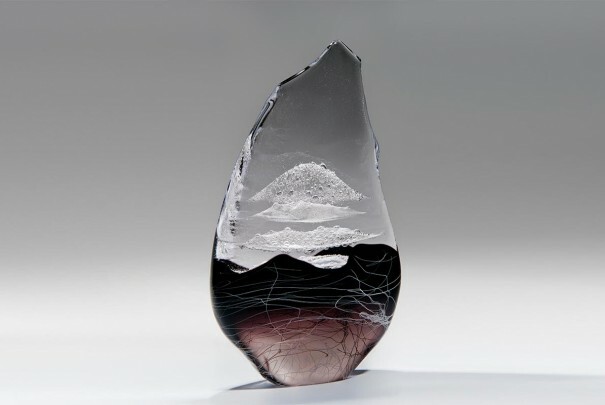 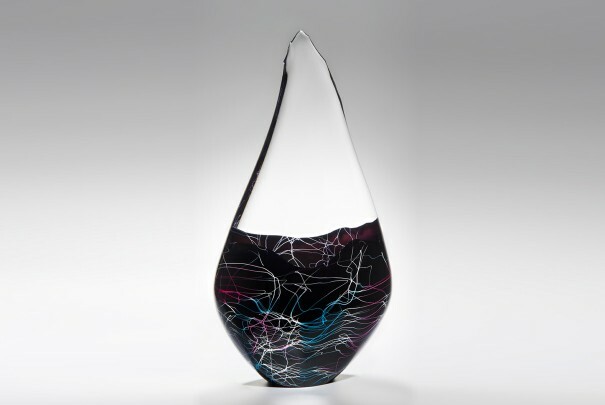 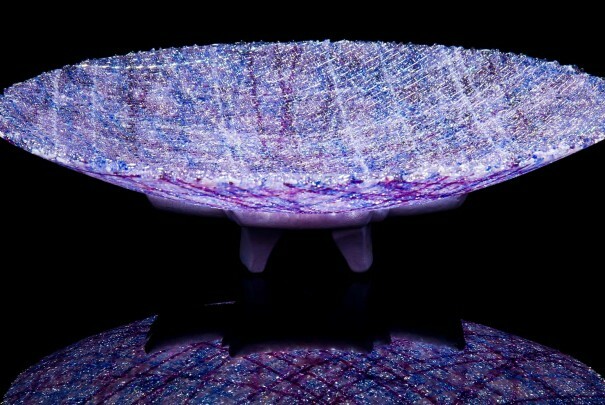 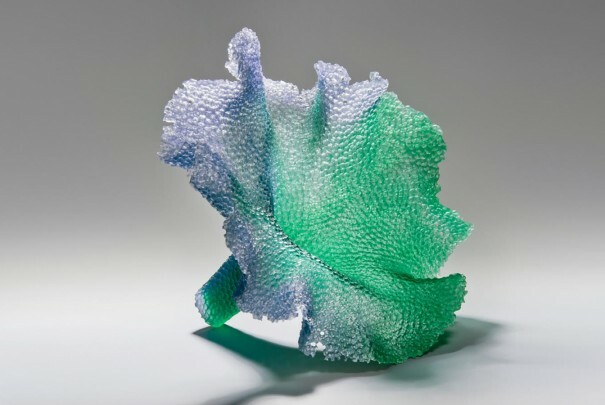 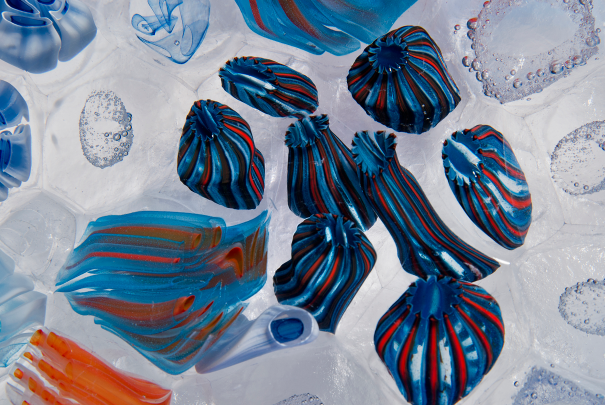 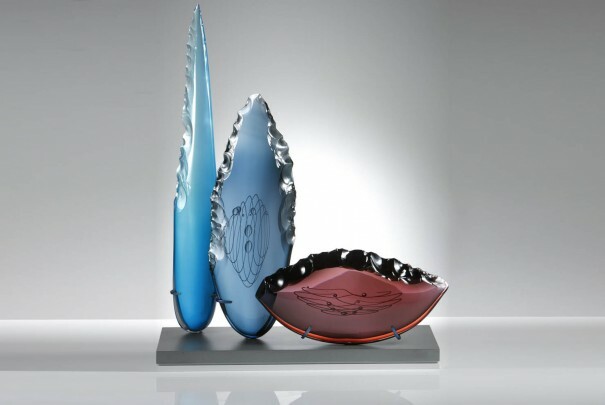 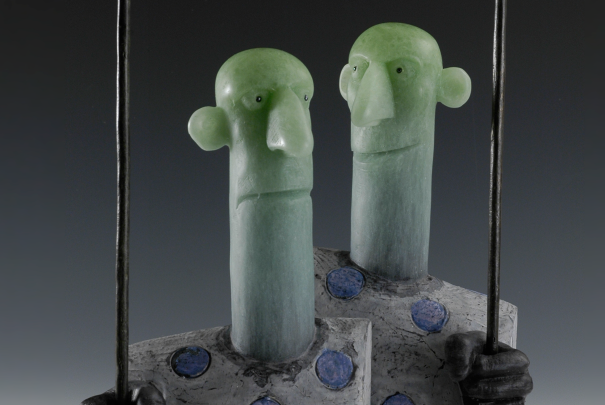 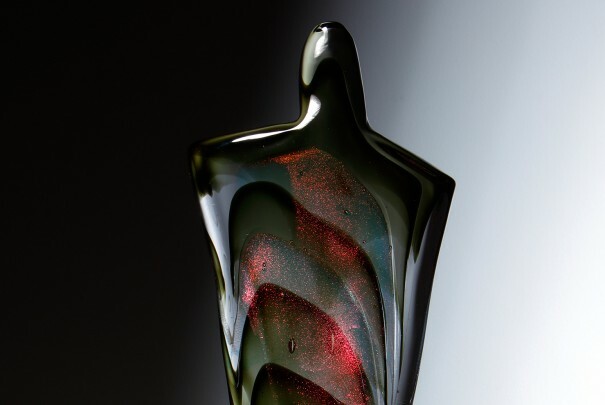 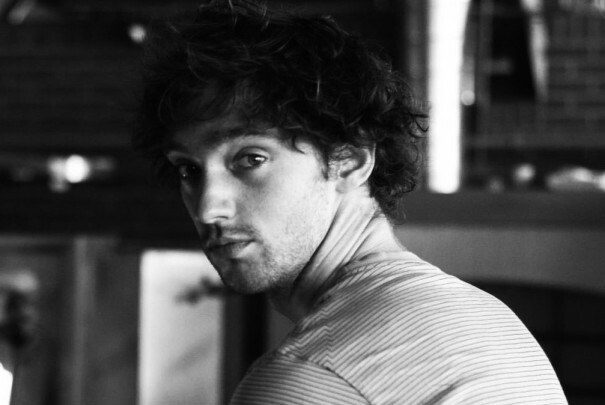 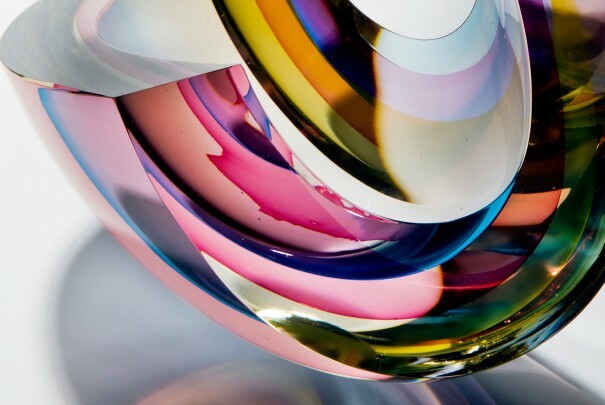 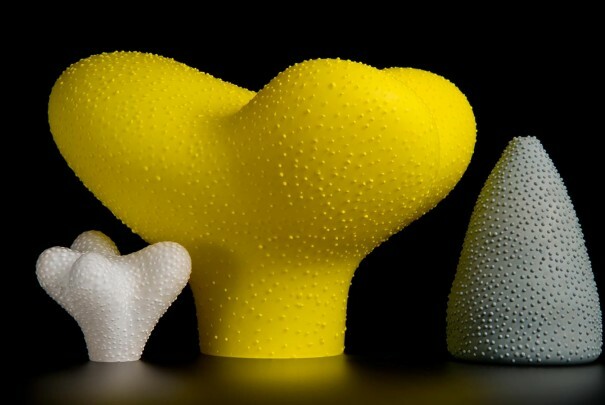 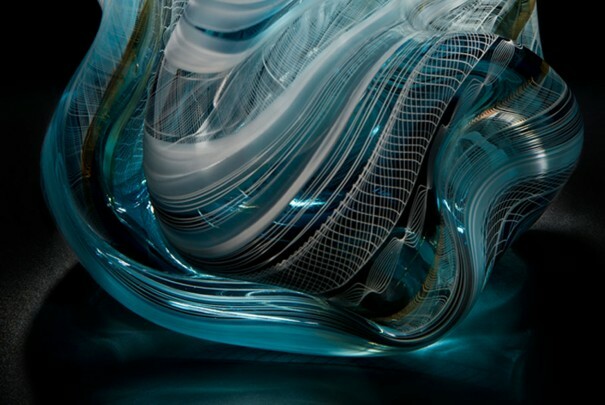 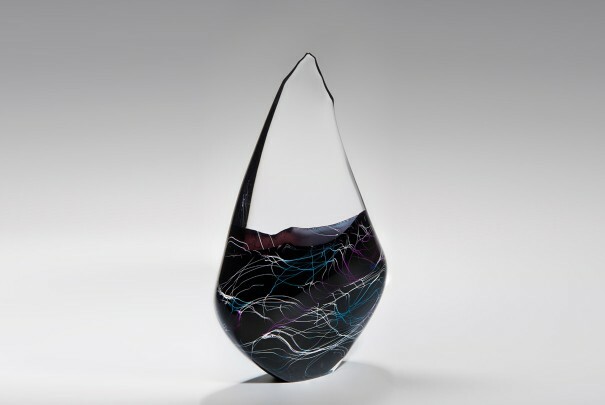 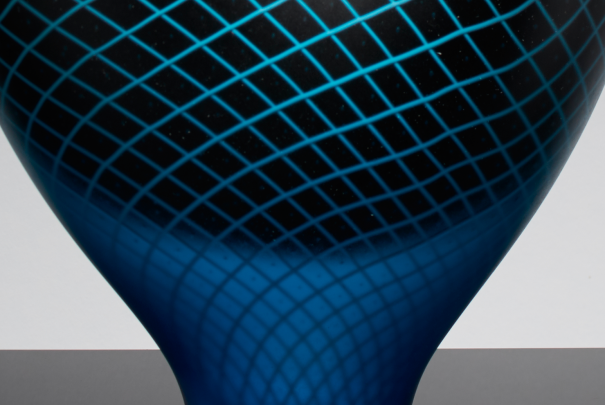 He uses the erosion of the coastal area where he grew up as his inspiration and is a freehand glass blower and sculptor.